We make water clean and safe for you and your loved ones. FACT If you have HARD water, Limescale can build up in your pipes and appliances in your home by 1.6mm per year, increasing your energy bill by up to 12% in the first year! And up to 30% increase in the second year! (Based on a hardness level of 300ppm). Using one of our Eco Friendly Water Softeners not only can you eliminate calcium preventing more Limescale build-up, it will ALSO remove existing Limescale build up within the first 12 months reducing your energy bills making your home and appliances more efficient. Wrekin Water is a long established company with many years of experience in the field of Water Treatment for both Domestic and Commercial properties, covering mains water and private supplies. 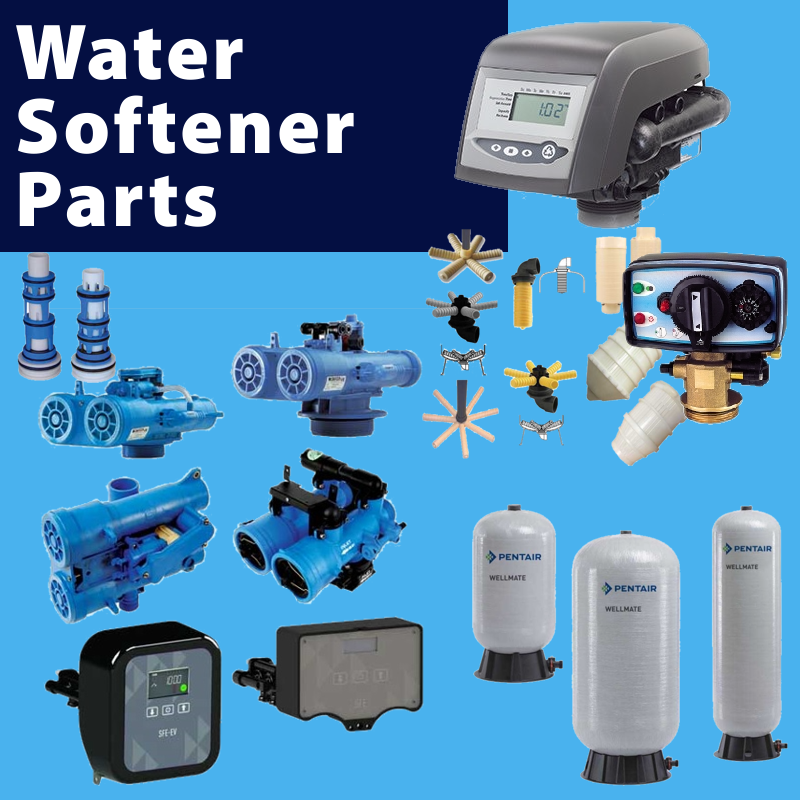 Our range includes product groups such as Water Softeners, Water Softener Service Parts, Drinking Water Systems, Replacement Filters, Ultra Violet UV systems and consumables and many more. 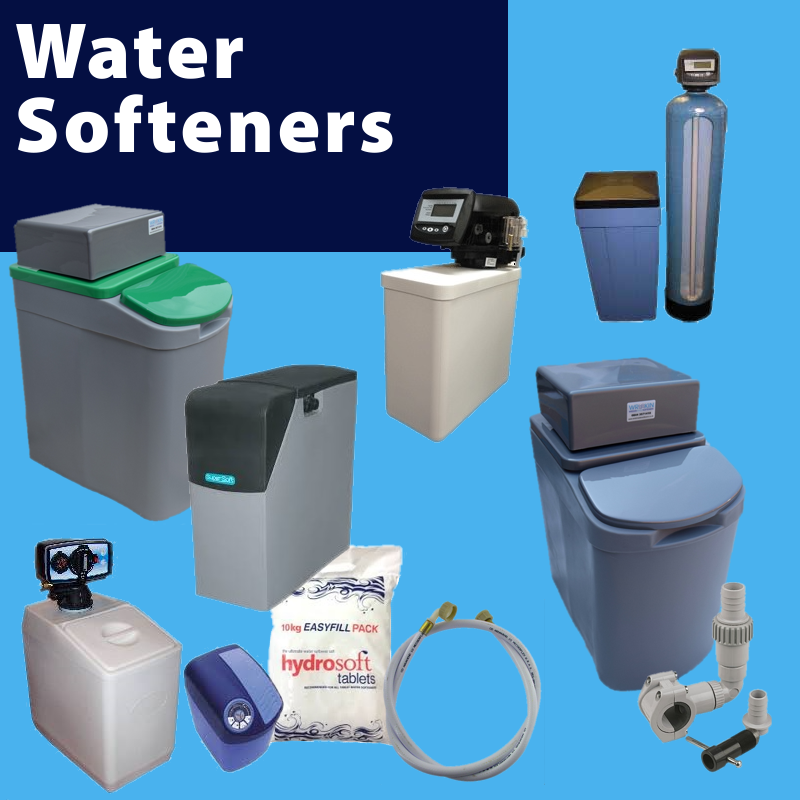 For MAINS WATER supplies, we have vast range of products dealing with issues of Calcium (Hard Water/Lime-scale), Chlorine, Fluoride, Hormones/Chemical compounds, Heavy Metals, Bacteria and other water contaminant issues. 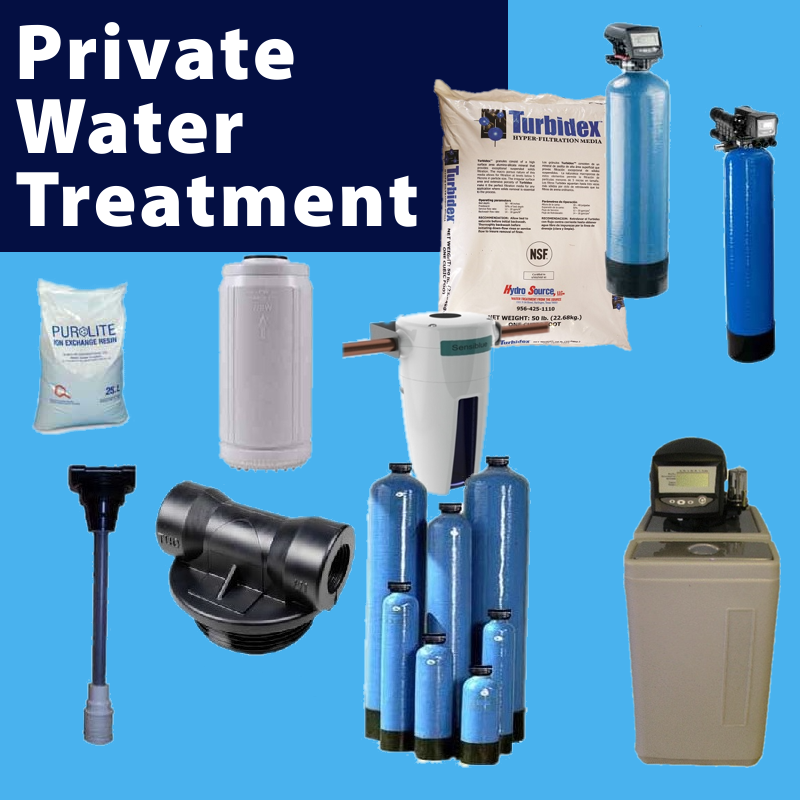 For PRIVATE WATER supplies, we stock a wide range of Water Filters, Ultraviolet Disinfection Systems, Lamps and Consumables, Reverse Osmosis Systems, Salt Free Scale Treatment, Iron, Manganese and Nitrate filters and systems, replacement media and many more INCLUDING Rain water harvesting. 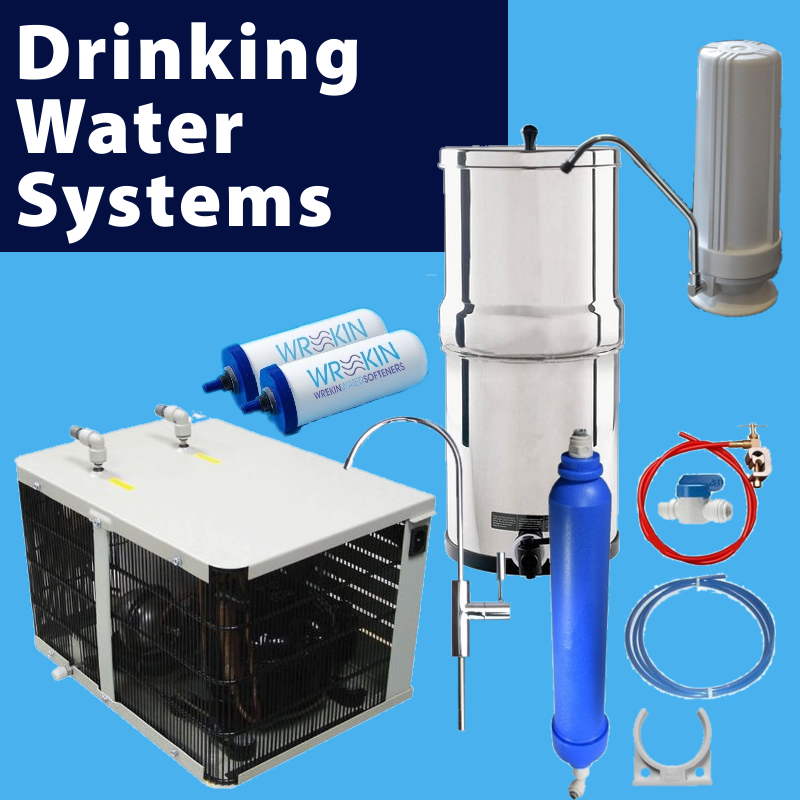 Our range is constantly evolving and we now have products suitable for CAMPING/BOATING/LEISURE on the move, you can have nice filtered water when you travel. 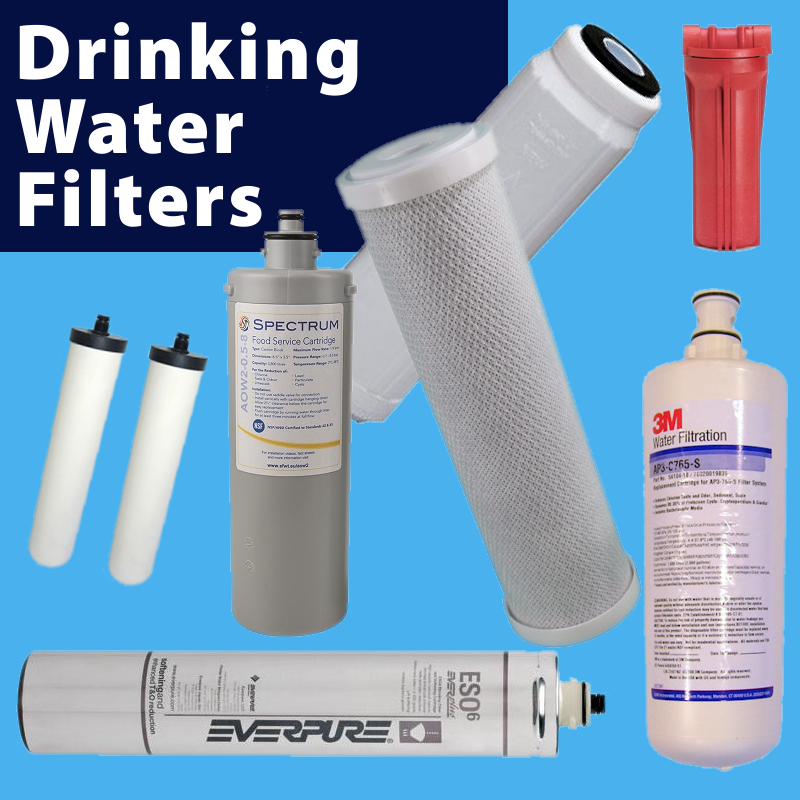 Have a look at our Gravity Fed Drinking Systems with our FTO fluoride removal filters and you won't be disappointed. Choosing the right system for your needs may seem a daunting task, we hope our terminology explained will identify some of the key points you may want to know in order to make the right choice, However if you are unsure which product is best for you please call our admin and technical team, where we will be more than happy to help you. 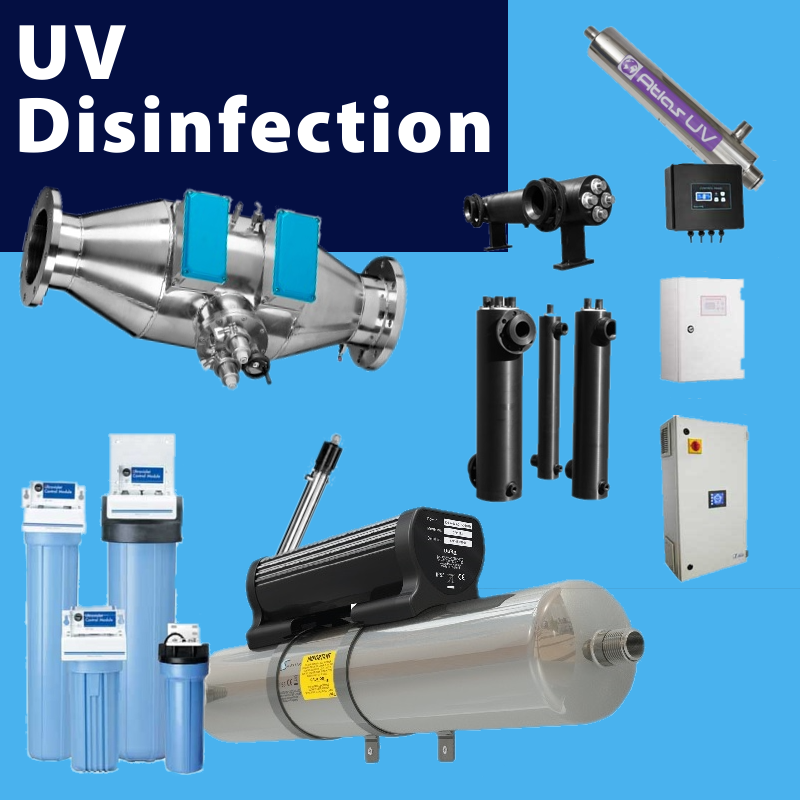 We understand that there are many products within the water treatment sector which aren't all listed on our webpage (yet). So if you cannot find what you are looking for please call our admin team. Here at Wrekin Water, we love to hear our customer's feedback. If you have any feedback please do not hesitate to email us. Our office is open Monday to Friday 9am until 5pm, if you are wanting us out of hours, please call and leave an answer phone message, or alternatively you can send us an email, all details are on our contact page and we will get back to you as soon as we can. If you have a spare 5 minutes, we are now on Facebook, Twitter and Instagram @WrekinWater please have a look and follow us. Many thanks for having a look at our website.